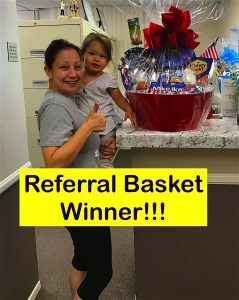 Thank you Sarah for your referrals, especially your son, last month. Also, we appreciate the other 26 referrals from other patients in June. A personal referral has always been the highest compliment you can give a business.